Mandy Bujold has been walking around with a golden smile these days. 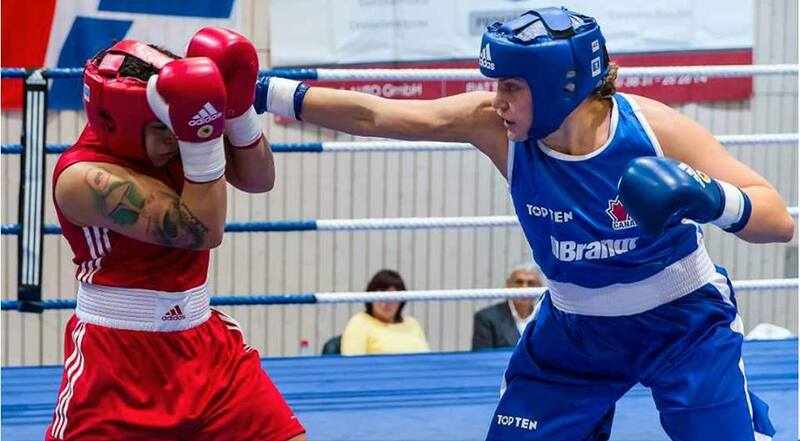 Kitchener’s favorite daughter and Boxing Canada’s women’s flyweight champion has found that gold medals aren’t as elusive as they were before. She has known for a long time what it tastes to be the champion and gold medalist within Canada at every tournament for nine years, but, for some reason, the same wasn’t as easy to achieve in the international ring. After winning the Pan American games in 2011 in Guadalajara she felt ready for the Olympics in 2012. But results didn’t go her way. She needed to change her game plan and did so. “I’m a whole different fighter –than in 2012- can’t even compare: mentally and physically,” said Bujold, hours after winning the gold medal at the Queens Cup tournament held in Germany. To watch Bujold box now is a memorable experience. Composed, secure, stronger, following the game plan to the end of the fourth round, but ready to make adjustments. Perhaps, this was what the judge’s saw in Germany at the Queens Cup that earned her the Best Technical Boxer trophy. Bujold and Ariane Fortin (75kg) traveled to Stralsund, Germany on October 26th to compete against boxers from all over Europe. There were 85 boxers in the tournament. Bujold won two bouts by unanimous decisions, the second against the silver medalist at the European Games, Sandra Dabrik from Poland. Even though Bujold says she doesn’t underestimate any of her opponents, winning Gold at two international tournaments in a row will give her plenty of confidence moving forward. The next step for both boxers is the Olympic Trials in Montreal in December. This will be the beginning of Bujold’s and Fortin’s dream to represent Canada at the Olympic Games Rio 2016.